Dr. Akinwunmi Adesina, President of the African Development Bank (AfDB), on Wednesday in Toronto, urged Canadian investors to take advantage of the enormous opportunities available across the African continent. He also used the opportunity to promote AfDB’s Africa Investment Forum (AIF) holding between November 7 and 9, 2018, in Johannesburg, South Africa. “Canada must not be missing at Africa’s investment table. It is time to change the lens through which Africa is perceived and to make clear distinctions between perceived and real risks,” he said. A statement by the bank explained that the AIF will bring together global private capital and investment funds, sovereign wealth funds and the private sector, for what is primarily being billed as a transactional marketplace to bridge Africa’s $68bn to $170bn infrastructure gap. The Toronto meeting also featured a discussion about investment and blended finance options in Africa involving panelists such as: Stella Kilonzo, Senior Director of the Africa Investment Forum; and Timothy Turner, Chief Risk Officer at the AfDB Group. Others were: Garreth Bloor, Managing Director, Glenheim Venture Capital; Chris Clubb, Managing Director, Convergence Blended Finance; Hakan Gunay, Senior Director of Finance, Skypower Global, were among panelists discussing i. Earlier in Ottawa on Tuesday, Adesina announced the conclusion of a landmark $1bn synthetic securitization transaction at Canada’s National Press Theatre, with the Mariner Investment Group and Africa50. Although securitization is routine for commercial banks, it is cutting-edge for development finance institutions. 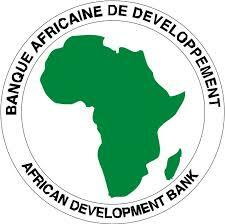 The AfDB is the first Multi-Lateral Development Bank (MDB) to use this game-changing innovative financing mechanism. Room2Run, structured as an impact investment, will enable the Bank to increase its lending to spur economic development and social progress across the continent. He told partners and employees of Global Affairs: “The continent is not different from other parts of the world that pass-through episodes of growth spurts and dips. The narrative on Africa should not be determined outside of Africa. Africa must control its own narrative,” he noted. The event was hosted by David Morisson, Canada’s Deputy Minister of Foreign Affairs. Later, meeting with African ambassadors, the AfDB President commended Canada’s leadership role in helping advance Africa’s economic agenda. He acknowledged the ambassadors’ collective commitment and support in promoting Africa as an investment destination of choice. He wrapped up the Ottawa stop with a bilateral meeting with Jim Carr, Canada’s Minister of Internal Trade Diversification, where he again made the case for increased investment on the continent and urged Canada to look to Africa as a new trade destination in line with its diversification agenda.